The ISOC Community Grants Programme will start accepting applications for it’s next round of awards on Monday, 21 February 2011. The application round will close Friday, 18 March with award notifications made in mid-May 2011. ISOC’s Community Grants Programme is open to the creativity and imagination of the ISOC Community. The only parameters of the Program are the Criteria. The selection Committee favors Projects that strengthen and support the health of the Internet as well as Projects that further support ISOC’s mission, goals, and Strategic Initiatives. Grants are awarded twice a year. to discuss the application forms & criteria. In the meeting, Programme Manager Connie Kendig will go over the guidelines on how to apply for funding and hold a Q&A session. There is also additional information posted on the website regarding telecentres/Internet cafe projects and will be discussed during the call as well. Those participating in a conference call are urged to read over the programme webpages in advance of the meeting. Connecting to the meeting will be by WebEx: http://isoc.org/wp/chapter-meetings/?p=986 Any questions regarding the Community Grants Programme, please send them to projects@isoc.org. In 2010 ISOC-NY is once again sponsoring a speaker series as part of Evan Korth’s Computers and Society course at the Courant Institute at NYU. ISOC-NY members and friends are welcome to attend. All sessions are held from 3.30-5pm in Room 109 of the Courant Institute, Warren Weaver Hall, NYU at 251 Mercer St NYC. Please RSVP to admin@isoc-ny.org. 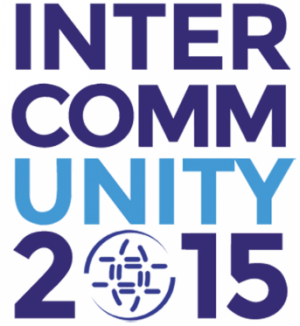 ISOC Community Grants – Apply now! 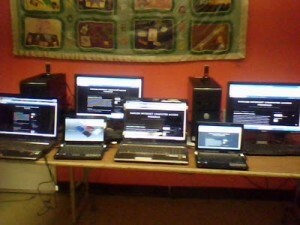 The current round of Internet Society Community Grants is open for applications until Sept 30 2010. * Encourage Chapters? sustainability and relevance. For the upcoming 6 month cycle, any one Project may be eligible for an award of up to US $10,000. 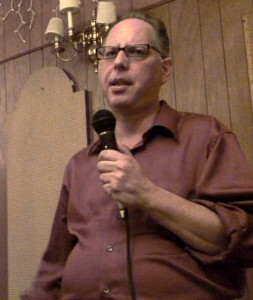 David Solomonoff, President of the Internet Society of New York (ISOC-NY) gave a talk at the August 2010 monthly meeting of the Manhattan Libertarian Party. David’s theme was ‘Taking Back the Edge: Freedom and the Internet Model’. The meeting took place in the back room of the Ukrainian East Village Restaurant (famous in alternative music circles as the site of a legendary New Order show in November 1981). David spoke about the importance of maintaining the end-to-end principle and the open internet, threatened today by repressive political forces and monopolistic interests. There was some lively discussion with the libertarians about whether regulation was preferable to unwelcome consolidation. David emphasized the bottom-up standards making process that has stood the test of time. [Washington, D.C., USA and Geneva, Switzerland – 25 May 2010] The Internet Society (ISOC) today announced it is funding community-based projects around the world addressing issues such as Internet leadership, education, core infrastructure, local governance, and policy development, with a strong focus on currently underserved communities. As part of the ISOC Community Grants Programme, each project will receive up to US$10,000 for efforts that promote the open development, evolution, and use of the Internet for the benefit of all people throughout the world. 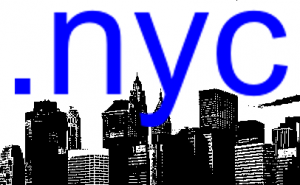 The Internet Society – New York Chapter (ISOC-NY) has for some years been following the .nyc and ICANN process on behalf of the NYC community and, on May 8 2010, hosted a seminar “dot nyc – How are we doing?” at NYU. NYC Council Member Gale Brewer delivered keynote remarks, then vendor Eric Brunner-Williams of CORE Internet Council of Registrars revealed details of their proposal to the City, and Antony Van Couvering of Minds + Machines and Public Advocate Beill DeBlasio’s earlier comments to the City Council were shown in video. There was a discussion “What’s it for?” about possible applications – civic, community, commercial, and “outside the box” – for a local top level domain. Speakers included Tom Lowenhaupt of Connecting .nyc and Richard Knipel of Wikimedia NYC.